Stephen Gardbaum argues that recent bills of rights in Canada, New Zealand, the United Kingdom and Australia are an experiment in a new third way of organizing basic institutional arrangements in a democracy. This 'new Commonwealth model of constitutionalism' promises both an alternative to the conventional dichotomy of legislative versus judicial supremacy and innovative techniques for protecting rights. As such, it is an intriguing and important development in constitutional design of relevance to drafters of bills of rights everywhere. 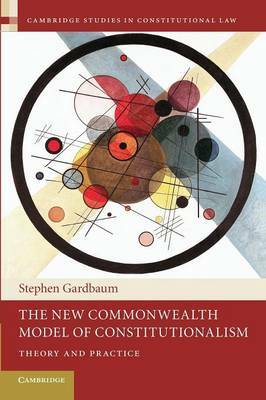 In developing the theory and exploring the practice of this new model, the book analyses its novelty and normative appeal as a third general model of constitutionalism before presenting individual and comparative assessments of the operational stability, distinctness and success of its different versions in the various jurisdictions. It closes by proposing a set of general and specific reforms aimed at enhancing these practical outcomes.